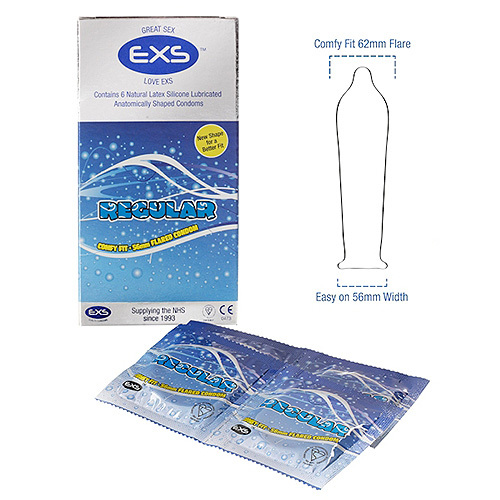 EXS Regular Comfy Fit 62mm Flared Condoms. This 6 pack of natural latex silicone lubricated condoms are anatomically shaped for a better fit and are proven to prevent splitting. Each condoms has been 100% electronically tested. EXS condoms have been used by the NHS since 1993 and carry the British Standard Kite and CE quality marks.